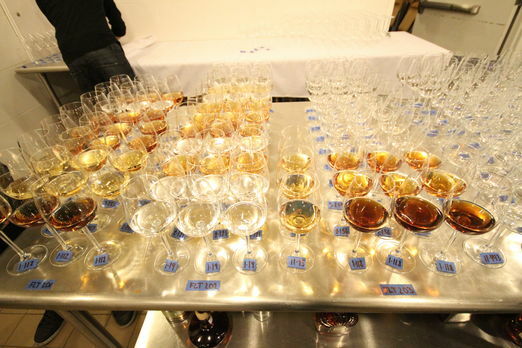 Judging for the Ultimate Spirits Challenge was a four-day, multi-stage process. Glasses await judging backstage at Astor Center. 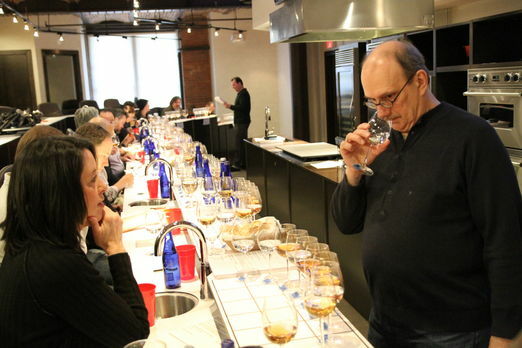 Nearly 600 entries from around the world were submitted for the multi-stage blind tasting, with 27 Chairman’s Trophy honors awarded to the highest scoring spirits in their category. The judges, led by Judging Chairman Pacult and Assistant Judging Chairman Sean Ludford, included Eric Alperin, Jacques Bezuidenhout, Tad Carducci, James Conley, Dale DeGroff, Doug Frost, Jim Meehan, Robert Plotkin, Julie Reiner, Jack Robertiello, Steve Olson, Andy Seymour, Aisha Sharpe, Willy Shine, Jennifer Simonetti-Bryan and David Wondrich. Julie Reiner and F. Paul Pacult confer during the Ultimate Spirits Challenge. This year, Pacult and Ludford will provide brief tasting notes for all Chairman’s Trophy-winning products and Finalists. Pacult will also record video reviews for each Chairman’s Trophy winner, which will be available on the UBC website in the coming weeks. 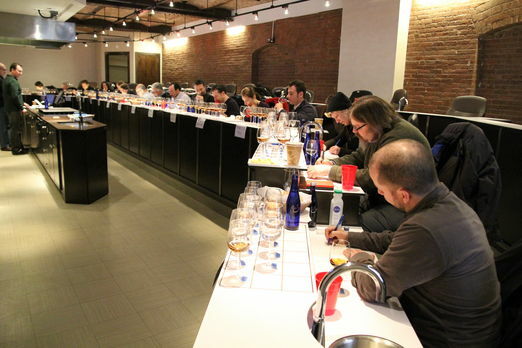 For a complete list of all results and scores, visit: ultimate-beverage.com/wine_reviews/spirits-results. To find out more about UBC and its upcoming Ultimate Cocktail Challenge (April 5-8, 2011) and Ultimate Wine Challenge (June 2-6, 2011) competitions, go to www.ultimate-beverage.com.